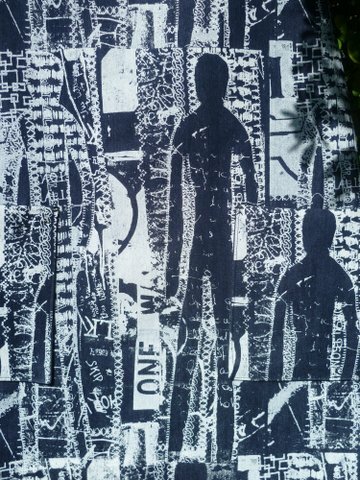 When I print my fabric I do just enough for one bag or pinny, making each one unique, no two are the same. 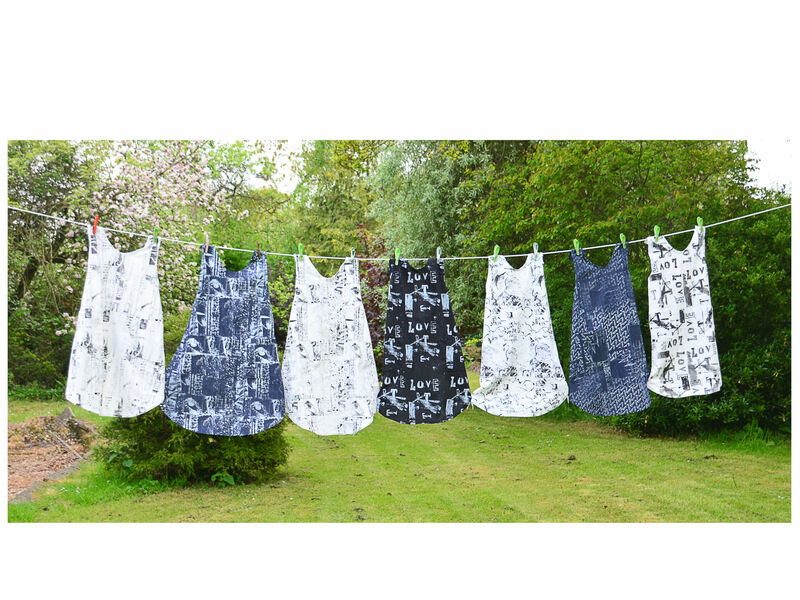 Below are some of the pinnys I have in stock but I can easily make one just for you! So if you see a pattern you like but want a different colour just give me a ring and we can have a chat about what you want. The pinnys are available in four sizes 8-10 12-16 and 16-18 plus curvy 18+. 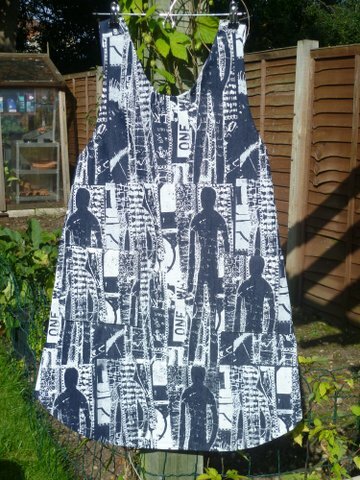 I now make “one off” pinnys, below are a couple of samples, if you would like one of these, just let me know your size and I will send you a selection of photographs for you to choose the one you want. Details of “Summer Flowers” / “Poppy” pinnys. £50 plus £3 postage & packing in the UK. The pinnys shown below are still £35 plus £3 post and packaging in the UK. Please ask for a quote to other countries. Just received my second Pinny, absolutely fabulous, i LOVE these, they are so easy to wear and fit in so well with the Lagenlook I love so much. Thank you again Alison!!! Will be in touch soon, probably for a bag. I think I would like a Messenger style bag, if that is possible? Kindest Regards, Debbie x.
I also have two of Alison’s pinnies, one for me and one for my mum. I love the criss-cross back style (I believe this is a chinese style apron?) and the fact that the material feels so sturdy. I saw her pinnies at the Knitting & Stitching show at Ally Pally and was immediately smitten! I would love to see the bags online too. When will you next be exhibiting in London Alison?